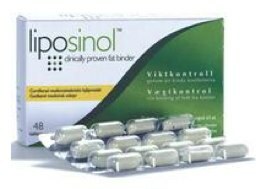 Liposinol is a fiber based diet supplement that aims to “trap the fat and cut the calories”. Based on the fat binder philosophy it has been created to combat high calorie meals and binds the excess dietary fat up to 27.4%. Though it is backed by clinical studies, there is no conclusive evidence of its effectiveness or lack of side effects. 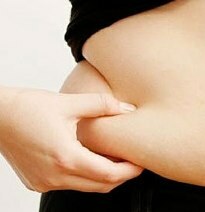 Fat binders help in reducing calorie intake and are often taken along with diet supplements. However, such actions are not recommended without medical consultation. Now available in Tablet form and Stick Sachet Form. ficus-indica. The manufacturers have clinically proven that the patented fiber complex can effectively bind dietary fat, reduce weight and control cholesterol. Unfortunately, none of these can effectively happen without a low calorie diet and strict exercise regimen. The gamut of fibers in the pill bind almost one-third of the dietary fats taken in, make the user feel more full, curb appetite and cravings. This means less calorie intake and more flushing out of excess fat. The makers of Liposinol also claim that the pill prevents sugar or high glycemic foods from producing excess insulin which usually results in weight gain. Manufactured and marketed by the InQpharm Group, Liposinol is focused primarily at the UK market. Like their other products, this too is tried and tested but comes out as more expensive than its counterparts and not as effective. Recommended dosage is 1-3 tablets right after each meal. The number of tablets is not to exceed 9 per day. Although manufactured by one of the industry leader in the weight loss arena, when compared to some of the premier diet tablets it lacks punch. Liposinol is backed by research and deemed safe by its makers because it is made up or organic and all natural ingredients. They claim that the dietary fiber in the pill binds fat and reduces glucose absorption equally effectively but these are not substantiated by specific tests. The weight loss effect is moderate at best. It has no fat burning component or metabolic boosters – key aspects to enhance weight loss. Therefore the user will hardly feel any dramatic effect from this pill and without exercise perhaps nothing. We don’t need to add Lipisinol to get results from diet and exercise. We can do that anyways. 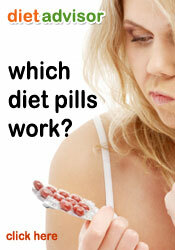 You cannot expect to lose weight fast or effectively with this pill. And the need to take additional multi-vitamins can be quite a bother. The lack of company information and no money back guarantee are also enough to plant doubts, and points to credibility loss. You can buy Liposinol from the official website as well as some high street stockists. When comparing fat binders its hard to ignore Proactol Plus – arguably the most popular and most effective non prescription fat binder that has been on the market since 2007. Fully accredited and certified Proactol Plus has credentials that no other commercial diet tablet can boast.